The Wire is a daily current affairs program, broadcast exclusively on community and Indigenous radio stations around Australia. The flagship national program for the community radio sector since 2004, The Wire is a significant alternative voice in Australian current affairs. In 2018, The Wire is looking for even more contributions from voices based anywhere in Australia! This is a great opportunity for producers wanting to offer critical coverage, challenge all points of view and put issues and events in context. 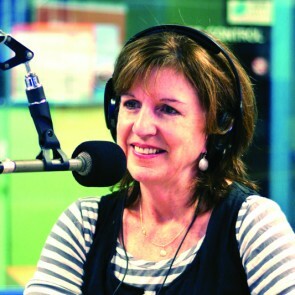 Sarah Martin is a producer and Adelaide presenter of The Wire. She is also a publicist at award-winning live music venue The Governor Hindmarsh. 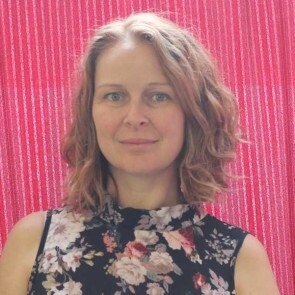 Sarah participated in the CBAA’s National Features and Documentary Series program in 2016, producing the documentary titled 'Food for Thought'. She also produced and presented The Sound of Science, a weekly interview-based science program and is working on development of a new podcast project. Sarah has previously worked as a print journalist and continues to contribute to various media outlets as a freelance writer and producer. How do I get The Wire on my station? Stations around Australia access The Wire for local broadcast through the CBAA’s Community Radio Network program distribution service, which distributes a range of programs including the National Radio News, Good Morning Country, and the National Features & Documentary Series. It’s available live via satellite every Monday to Friday at 5.04pm AEST – and is repeated each night just after midnight Eastern time. If stations want to broadcast it at a different time from those two options that’s easy too – they opt to receive the daily Wire audio file from CRN in a number of ways, including via the Digital Delivery Network for stations that use that service. Delivery can be automated into stations’ local playout systems so that it goes to air automatically. Get in touch with CRN on 02 9310 2999 for more information. This webinar was held on Wednesday, 18 April 2018 at 6.30pm AEDT.